Searching for the best CDN service to speed up your website? 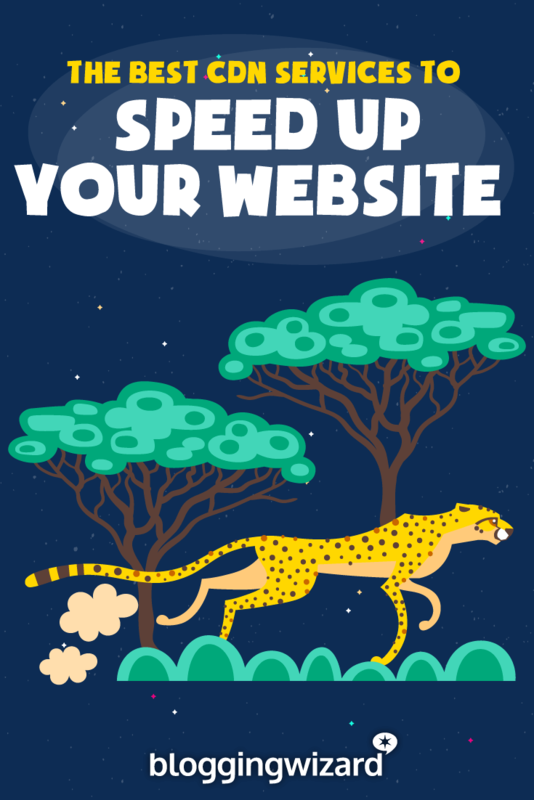 Or just looking for an easy way to speed up your website? As hard as humans have tried, we still haven’t been able to break the laws of physics. That means – no matter how fast the Internet is – the distance between your website’s visitors and your website’s server still has an effect on your site’s page load times. Basically, if your server is in Los Angeles, your site will load faster for someone from San Francisco than someone from Hanoi (trust me, I know!). A CDN, short for content delivery network, fixes that by storing your site’s content on different servers around the world. Then, rather than needing to go to your server each time, visitors can just grab your site’s files from the CDN location that’s nearest to them. It’s great for speeding up your site’s page load times around the world, and lessening the load on your server to boot! But in order to get started, you’re going to need to find the CDN provider that matches your needs and budget. That’s what I’ll help with in this post! After a short introduction to some important CDN terminology, I’ll share six great premium and free CDN solutions. So no matter what your budget is, you’ll be able to find a tool on this list! Hey, I know that you probably just want to get to the list of the best CDNs. But before we do that, I think it’s important to define a few key terms so that you’re not confused once I start digging into the CDN providers. I’ll keep it as brief and as beginner-friendly as possible. First, there’s points of presence (PoPs) or edge servers (these actually mean slightly different things, but the difference doesn’t matter for most users). These two terms refer to the number of locations a CDN has around the world. 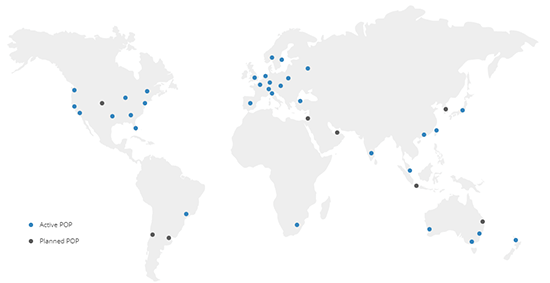 For example, if a CDN has locations in San Francisco, London, and Singapore, that’s 3 points of presence (or 3 edge servers). In contrast to edge servers, you have your origin server, which is the main server where your site is hosted (i.e. your web host). Generally, a higher number of points of presence is better as it indicates better coverage around the world. With that being said, there are diminishing returns after a certain point for your average website. For example, you probably won’t have a ton of visitors from Korea, so does it really matter if your CDN only has a location in Japan instead of Japan and Korea? For most sites, it won’t – Japan is already pretty close to Korea, so those extra fractions of a second don’t really matter. Then, you have push vs pull zones. This one gets pretty technical so I won’t fully explain it. But basically, it deals with how you get your site’s files onto the CDN’s servers. For most casual webmasters, a pull CDN is the best option, as it lets the CDN automatically “pull” your files onto its servers, rather than requiring you to manually upload (“push”) your files to the CDN. Finally, there’s reverse proxy. A reverse proxy acts as a middle-man between visitors’ web browsers and your site’s server. Basically, it directs traffic for you, which can offer both performance and security benefits (learn more here). Several of the CDN services that I’ll cover also act as reverse proxies, which means that they’ll automatically serve up the cached version of your site without any extra effort on your part. 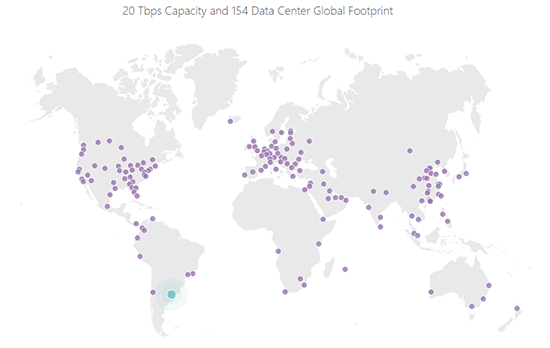 Cloudflare is definitely one of the biggest CDN providers in existence. They power over 10 million websites and have a huge global network (by far the largest on this list). To get started with Cloudflare, all you need to do is change your site’s nameservers to point to Cloudflare. Then, Cloudflare will automatically start caching your content and serving it up from their huge global network. Cloudflare is also a reverse proxy (see, I told you this term was important!). That means, in addition to being able to smartly serve up content via its CDN, it also offers a number of security benefits. 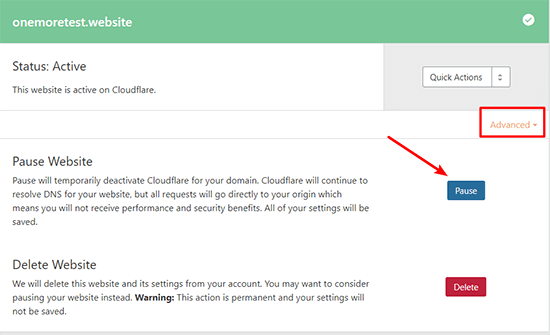 For example, you can use Cloudflare to create special rules to protect important areas of your site, like your WordPress dashboard. Or, you can also implement higher security on a sitewide basis, which is helpful if your site is experiencing a distributed denial of service attack (DDoS). Another big benefit of Cloudflare is that it’s free for most websites. While Cloudflare does have paid plans with more advanced functionality (like a web application firewall and more custom page rules), most users will be totally fine with the free plans. Finally, if you’re not already using HTTPS on your site, Cloudflare offers a free shared SSL certificate, which lets you move your site to HTTPS (though you should still install an SSL certificate via your host, if possible. Learn why). The free plan will work for most users. Easy to set up – you pretty much just point your nameservers to Cloudflare and you’re good to go. 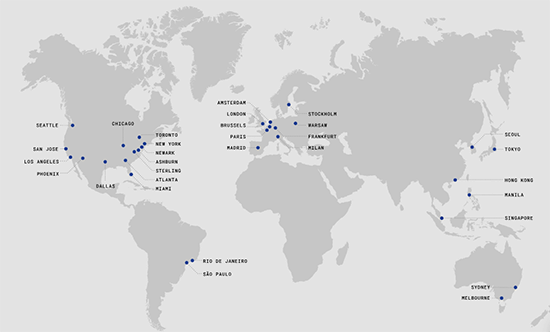 Has a huge global network with 154 points of presence on 6 different continents. Offers lots of security benefits in addition to its CDN services. Gives you a lot of flexibility with its page rules. Single point of failure. Because you point your nameservers to Cloudflare, your site would be unavailable if Cloudflare ever experienced issues. If you improperly configure Cloudflare’s security rules, you might annoy legitimate users (g. I sometimes have to complete a CAPTCHA to view Cloudflare sites just because I live in Vietnam). The solution is to turn your security level down, but some casual users might miss this. While the basic setup process is simple, you might need to go a little further to optimize it for WordPress. The Cloudflare WordPress plugin can help with this, though. Price: Free plan should work for most users. Paid plans start at $20 per month. For years, MaxCDN was a popular CDN service, especially with WordPress users. In 2016, Stackpath acquired MaxCDN and wrapped MaxCDN’s services into the Stackpath brand. Now, the two are one and the same. Like Cloudflare, Stackpath offers both CDN and security services. However, Stackpath gives you a more a la carte approach, where you can either just pick specific services, or go with a full “edge delivery package” that includes CDN, a firewall, managed DNS, and more. I’ll specifically talk about the CDN service – just know that those other services are available if you want them. Because Stackpath is a pull CDN, it’s super easy to set up. You pretty much just enter your site’s URL and then Stackpath will handle pulling all your assets onto its servers. Then, you can start serving assets from Stackpath’s edge servers. Unlike Cloudflare, you will not need to change your nameservers just to use Stackpath’s CDN (though Stackpath does offer managed DNS if you want it). You don’t need to change your nameservers, which keeps you in full control. 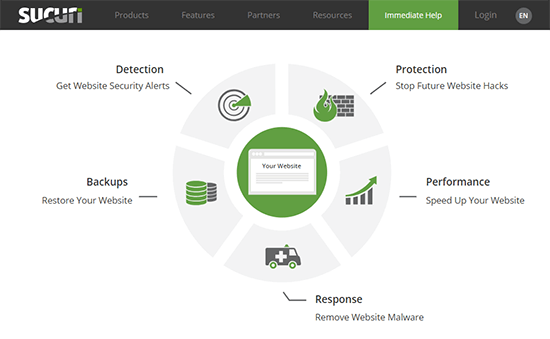 Offers other functionality like web application firewalls and managed DNS if you want it. Not as many points of presence as Cloudflare, though the coverage is still solid. No free plan (though you do get a one month free trial). Price: Stackpath’s CDN plans start at $10 per month for 1TB bandwidth. After that, you pay $.04/GB for additional bandwidth. Most people think of Sucuri as a security service, not a CDN. And that’s for a good reason, Sucuri does a ton of great work in the area of website security, and it will definitely help secure your website. Given that most of your site’s traffic will probably come from people near those areas, the low number of locations won’t matter for most websites. Additionally, you get access to a lot of other bonus features outside the CDN functionality. For example, you also get a web application firewall. And if anything makes it through that, you get the well-known Sucuri malware scanning and removal service. You can even have Sucuri automatically back up your site (for an added fee). So if you want a CDN service that can also put your mind at ease with improved security and backups, Sucuri is a solid option. More than just a CDN. Offers malware scanning, as well as a malware removal service. 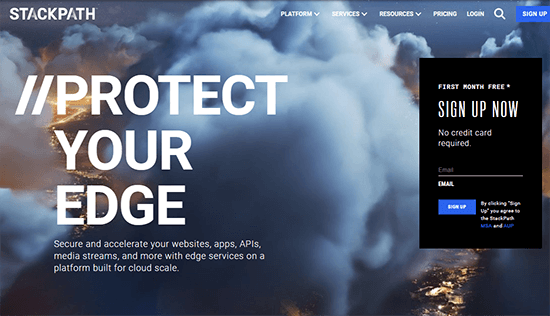 Has a firewall for proactive protection. Can automatically back up your site, including cloud backup storage ($5 per month extra). Low number of edge servers compared to other services. Lowest plan doesn’t adequately support SSL. Price: Sucuri’s plans start at $199.99 per year, but you’ll need their $299.99 per year plan to fully support SSL/https. Unlike most of the other services on this list, KeyCDN is exclusively a CDN. That’s all it focuses on, and it does it quite well. It’s especially popular with WordPress sites, in part because KeyCDN is active in the WordPress community with plugins like CDN Enabler and Cache Enabler. Anyone can use KeyCDN, though, and the setup process is quite easy. 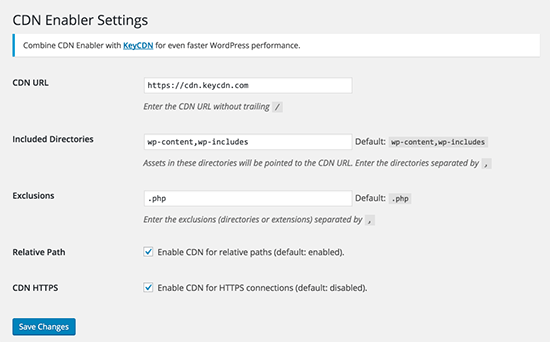 KeyCDN lets you use both pull and push zones (again, most webmasters should opt for pull). And like Stackpath, it’s quite easy to set up a pull zone – you pretty much just paste in your site’s URL. Finally, KeyCDN does have some security features, like SSL support and DDoS protection. KeyCDN doesn’t offer any free plans, but you can get started with a 30-day free trial. The pricing is also entirely pay as you go, which means you’re never locked into a monthly plan. Affordable, pay-as-you-go pricing so that you only pay for exactly what you use. Good server presence on all habitable continents. Easy to use for non-technical users, with lots of documentation. Lots of features for technical users who want them, including header controls and custom rules. Active in the WordPress community. No detailed security features like firewalls and bot filtering (this is only a con if you value those features, of course). Price: KeyCDN starts at $0.04 per GB for the first 10TB for Europe and North America (other regions cost slightly more). The unit prices go down as your traffic increases. Incapsula functions a lot like Cloudflare. That is, it acts as a reverse proxy and offers both CDN and security functionality. Whereas Stackpath and KeyCDN let you keep your own nameservers, you’ll point your nameservers to Incapsula to get set up, just like you do with Cloudflare. Then, Incapsula will automatically direct traffic for you. Beyond benefitting from Incapsula’s global CDN, Incapsula also offers a web application firewall and bot detection, as well as load balancing. While Incapsula makes it hard to find, it does offer a free plan just like Cloudflare. This free plan includes the CDN functionality, as well as bot protection. Points of presence on every habitable planet. Offers DDoS and bot protection even on the free plan. Paid plans offer more advanced security functionality, like a web application firewall. Like Cloudflare, Incapsula presents a single point of failure. Because you point your nameservers to Incapsula, your site would be unavailable if Incapsula were ever to experience issues. No SSL on the free plan like you get with Cloudflare. Price: Basic free plan. Paid plans start at $59 per month. Jetpack Image CDN (formerly called Jetpack Photon) is the most limited option on this list because it only acts as a CDN for your WordPress site’s images, whereas all the other CDN services can work with any type of static file. With that being said, images comprise about half of the file size of an average web page, so they’re one of the highest-value assets to serve via a CDN. Jetpack Image CDN is also free, which helps soften the blow of that limitation. And, as the name suggests, it’s part of the popular WordPress Jetpack plugin. Activating it only requires checking a single box, which makes it the easiest CDN to use. Once you check that box, your site’s images will be served via WordPress.com’s servers. I’m unable to find any information about WordPress.com’s points of presence. But given WordPress.com’s popularity, it’s a safe bet that they have edge servers in most popular areas. No limits on how many images you can serve via Jetpack Image CDN. The absolute easiest setup process. You just hit a button in the WordPress Jetpack plugin. It’s much more limited than other CDNs. It only works on images, and you don’t have nearly as much control. You cannot purge the cache. This means that once the image is cached, it’s there “forever”. If you want to update an image, you’ll need to change its filename. Requires you to use the Jetpack plugin, which some people don’t want. What’s the best CDN provider for your specific needs? Now for the million dollar question – which of these CDN providers should you actually use for your site? As you’d probably expect from the fact that I shared six different CDN services, there’s no right answer here for every single site. First up, if you’re exclusively looking for a free CDN, then Cloudflare is your best option. It has the best free plan of any CDN you’ll come across, and it’s pretty flexible to boot. Just be aware that you might need to put a little work into optimizing it for WordPress. 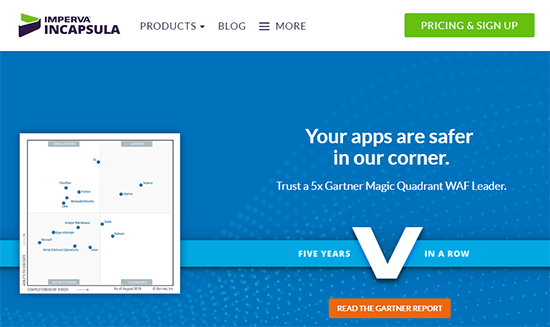 Incapsula is another solid free option. But Cloudflare’s free plan is a little more generous, so I don’t see a reason for most webmasters to choose Incapsula over Cloudflare. KeyCDN is a great option for its flexibility and pay-as-you-go pricing. It pretty much just focuses on being a CDN, and it gives you a lot of control and doesn’t lock you into fixed monthly plans. Stackpath is good if you want access to more security and monitoring functionality. It’s “almost” pay as you go (though there is a $10 minimum per month) and it’s pretty flexible and easy to use. Jetpack Image CDN is a viable option if you just want something super simple. But, in my opinion, it’s too limited, and you’d be better off with a true CDN. It’s better than nothing, though. So if you’re intimidated by the other options, it’s still worth activating. With some CDNs – like Cloudflare, Sucuri, and Incapsula – your site will automatically serve up content from the CDN because those services are able to direct traffic themselves (this is why you have to change your nameservers). However, with other CDNs where you don’t change your nameservers – like KeyCDN or Stackpath – that’s not the case. Those CDNs will “pull” your files onto their servers, but your WordPress site will continue to serve files straight from your origin server, which means you’re not actually benefiting from a CDN. While CDN Enabler is developed by KeyCDN, you can use it with any CDN (including Stackpath). If you use a CDN like Stackpath or KeyCDN, that service will give you a CDN URL like “panda-234.keycdn.com” or “sloth-2234.stackpath.com”. That means any files served from your CDN will have a URL like “panda-234.keycdn.com/wp-content/uploads/10/22/cool-image.png”. If you’d prefer to use your own domain name instead, you can use a Zonealis via the CNAME record in your DNS records. Ok, that’s a lot of technical jargon. But basically, it means that you can serve files from “cdn.yoursite.com” instead of “panda-234.keycdn.com”. Can you combine Cloudflare with other CDNs for the security benefits? Yes! This gets a little more advanced, but Cloudflare actually gives you a good amount of control over exactly what functionality you use. 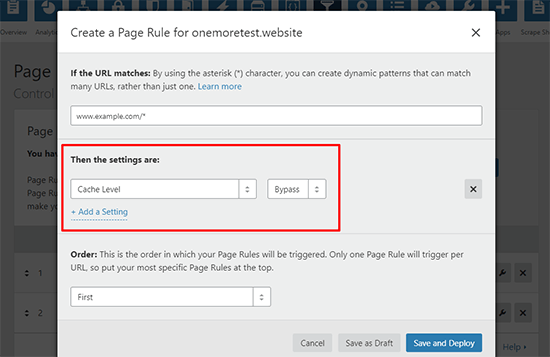 Basically, you’ll need to follow this tutorial, but create the rule for your entire website using the asterisk wildcard. With this implementation, Cloudflare will still filter and direct all the incoming traffic to your site, but it won’t serve up the cached version. This is an even more advanced tactic. But if you have a lot of static files – like images – you might benefit from using a third-party object storage service like Amazon S3 or DigitalOcean Spaces rather than storing all those files on your own web server. WordPress plugins like WP Offload Media or Media Library Folders Pro S3 + Spaces make it easy to offload your WordPress site’s media files to object storage. Then, you can connect your chosen CDN service to both Amazon S3 and DigitalOcean Spaces. Now get out there and start speeding up your site’s page load times with a CDN!